Left: Current design. Right: Upcoming design. A partially redesigned Favorites tab is under development. 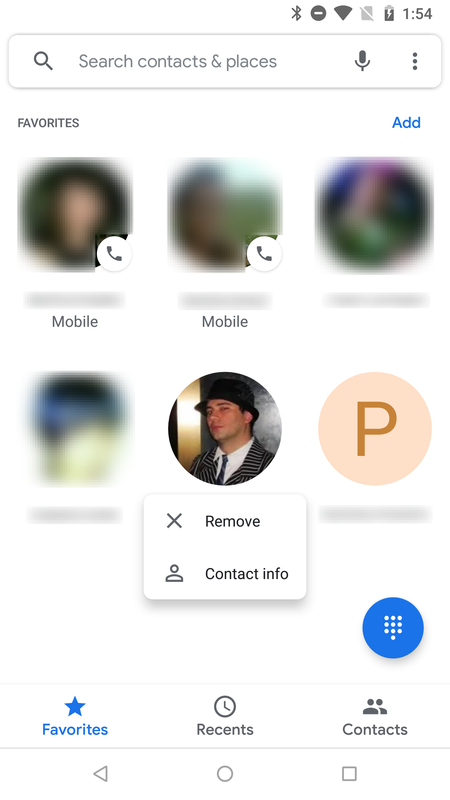 The new look trades out the large contact photos for smaller round photos. With the photos taking less space, the list is switching to a three column arrangement. Behaviors have also undergone some minor tweaks. 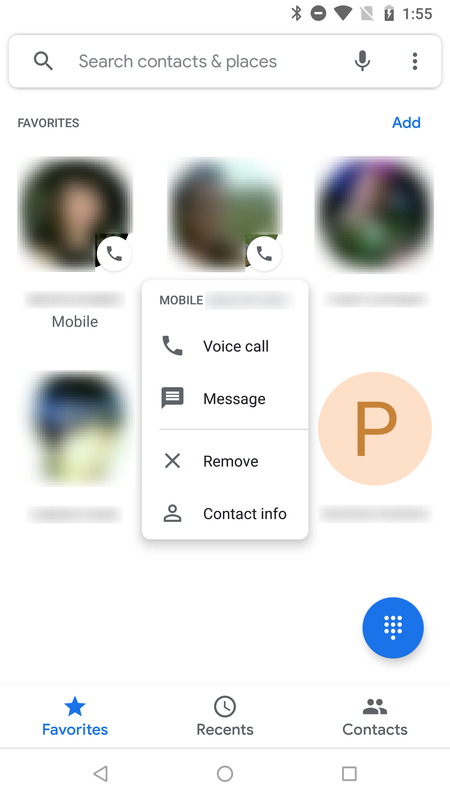 In the older format, long-pressing on a contact gave you the ability to change their position in the list, or drag them up to a space at the top to be removed. In the new layout, a long press can still be used to change their order, but it also displays a menu with a few options, including a command to remove the contact from Favorites. There is an odd behavior where contacts with multiple phone numbers only have two options in their menu, while contacts with only one number (marked with a phone receiver badge) will also have commands to call them or begin a message. 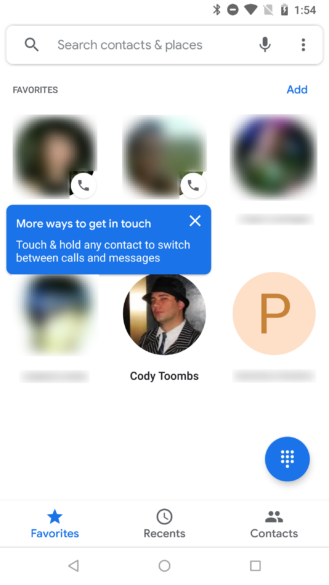 Tapping on a contact with a single number will instantly begin a call. Multi-number contacts, even those with a default number set, will prompt you with a dialog asking which number you want to use. Of course, this behavior may change before Google rolls out this new layout. 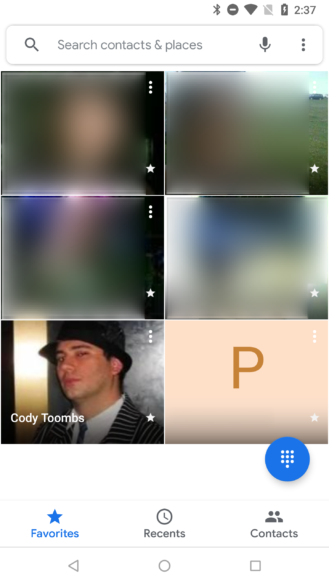 You can enable this version of the Favorites tab now if your phone is rooted, and it probably works with the ADB backup/restore technique. A single flag named G__enable_new_favorites_tab has to be changed in /shared_prefs/dialer_phenotype_flags. Switch it from false to true, then force close the dialer and launch it again. That's it. This variant of the Favorites tab has been in development since before v23, but it's looking pretty close to complete with this release.